The Universal Wireless Test Set MT8870A has been specifically designed for the high volume manufacturing test of cellular and connectivity wireless systems supporting 5G NR sub-6GHz, LTE, NB-IoT, Cat-M, V2X, WLAN and Bluetooth etc. An MT8870A instrument mainframe can contain up to four TRX Test Modules MU887000A/01A each capable of independent control by an external PC. Each module has an integrated Vector Signal Generator and Vector Signal Analyzer to perform both transmitter and receiver RF tests. 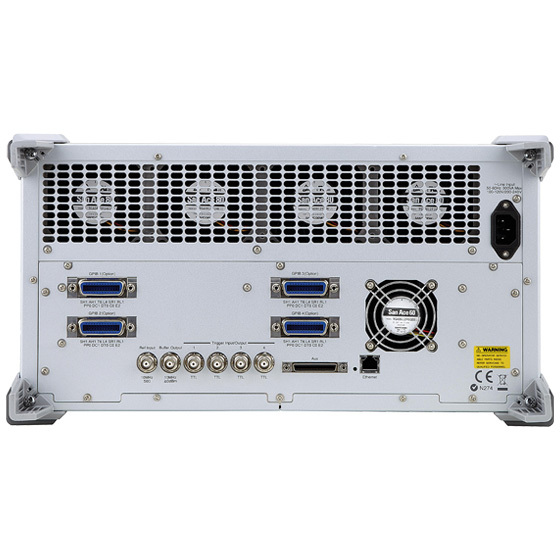 The MT8870A with the MU887000A/01A test module can be controlled by an external PC. Up to four measurement modules can be installed in one main frame and each module can be controlled independently. Each module shares the same power supply, chassis, and internal bus interface, helping cut infrastructure costs. 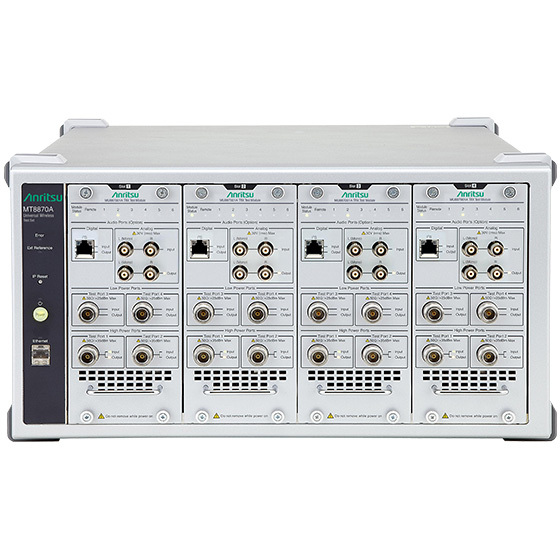 With four modules installed in the MT8870A, four test devices can be connected and measured in parallel simultaneously. Different wireless communications systems can be measured in parallel, helping reduce both measurement times and line test equipment footprint. The TRX Test Module MU887000A/01A is able to perform RF transmitter/receiver testing of WLAN 802.11ac modules. The MT8870A is an all-in-one set for measuring the TX power of various wireless communications systems, such as LTE/LTE-Advanced, W-CDMA, WLAN, Bluetooth, etc., and for conducting TX tests of transmission modulation accuracy, RX tests of RX sensitivity, etc. The Native commands are based on the MT8820C remote control command set and have high compatibility, particularly for sequence measurements and RF calibration. Supports mono audio and stereo audio with analog interface or digital interface helping reduce the equipment footprint for wireless module manufacturing. This video introduces WLAN MIMO measurement capabilities of the Anritsu MT8870A Universal Wireless Test Set.